New Signature Wraps have arrived at Subway here in Southern California for a limited time at participating locations in what appears to be a market test. The wraps come rolled up in one of three flavored wraps: spinach, habanero, and tomato & basil. Additionally, there are four varieties of the new wraps: Turkey, Bacon, and Avocado; Rotisserie Style Chicken Caesar; Steak Veracruz; and Habanero Roasted Chicken. - The Turkey, Bacon, and Avocado Wrap includes turkey, bacon, avocado, provolone cheese, lettuce, tomato, onion, and ranch dressing. - The Rotisserie Style Chicken Caesar Wrap features rotisserie-style chicken, cheddar cheese, lettuce, tomato, parmesan, and Caesar dressing. 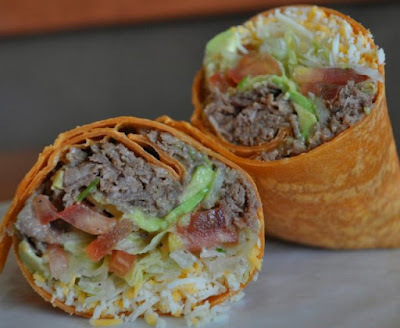 - The Steak Veracruz Wrap comes with steak, Monterey and cheddar cheeses, lettuce, avocado, Veracruz sauce, and new pico de gallo. - The Habanero Roasted Chicken Wrap consists of roasted chicken, pepper jack cheese, lettuce, onions, olives, tomato, jalapenos, and chipotle sauce. The Signature Wraps are going for $6.99 a piece. While the wraps have just recently arrived here in Southern California, they've been spotted testing in a number of markets since late last year.